I would also be quite interested in a CD copy of this when it becomes available. The small run from several years ago was on green and was not remastered. This current pressing, which is on clear, has been remastered. Is the LP master the same that was done in a small run on black vinyl to fill the warehouse find jackets from three years back? How about repressing the 7" material or the slowdime ep. Is there any chance this will be restocked in the near future? I bought the LP on vinyl and the redeem code wouldn't work. Can"t wait for the mailman to show up ! 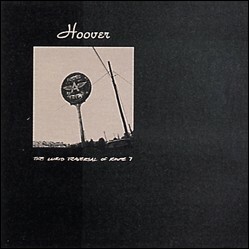 Hoover's first and only full-length album, released in 1994. The LP includes a free MP3 download. The re-mastered CD also includes 3 songs (tracks 11-13) from the #086.5 7 Inch.